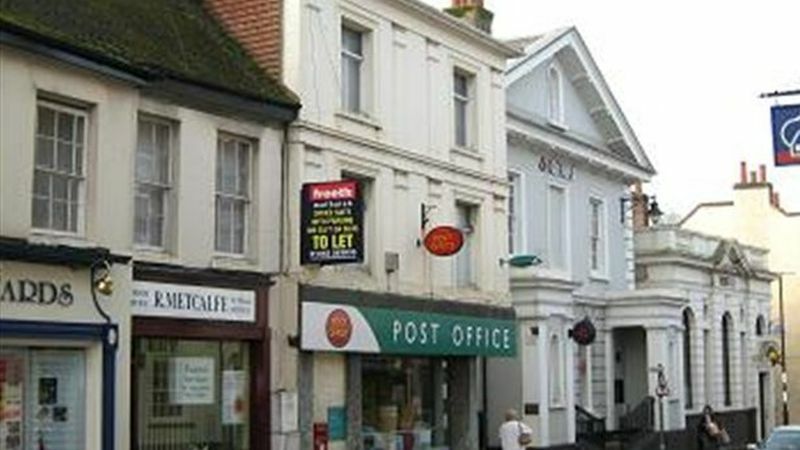 The properties are located in the very centre of Tring high street above the Post Office and adjacent to the National Westminster Bank. Tring is an attractive and busy market town located on the A41 which provides dual carriageway access to the M25 at Junction 20 approximately 12 miles to the east. The town is served by a mainline railway which offers a fast and frequent service to London Euston (40 minutes approximately) and Birmingham. 18b High Street The office accommodation is provided on the first and second floors, accessed via an entrance from the courtyard area to the rear of the property. The first floor comprises three main offices which have been tastefully decorated to a high standard. The second floor comprises one larger open plan office together with two smaller rooms. The accommodation benefits from gas fired central heating, carpeting and four car parking spaces in the rear car park. Toilets are located on the first and second floor and a kitchenette is also located on the second floor. Access to 18c can be provided at second floor level by a doorway which is currently sealed. 18c High Street This suite comprises self contained office accommodation predominantly on the first floor with a small reception area. Toilets and kitchen are provided on the ground floor. The property has recently been refurbished throughout and includes gas fired central heating, new lighting and carpeting. There are two car parking spaces in the private car park located to the rear of the property.